​MCT Oil is a popular supplement that is consumed for its many physical and mental health benefits. MCT Oil contains medium length chains of fat called trigylcerides. Due to their shorter length, MCTs are very easily digested giving you instant energy, rather than storing as fat. They offer many health benefits as a result of the way the body processes them. 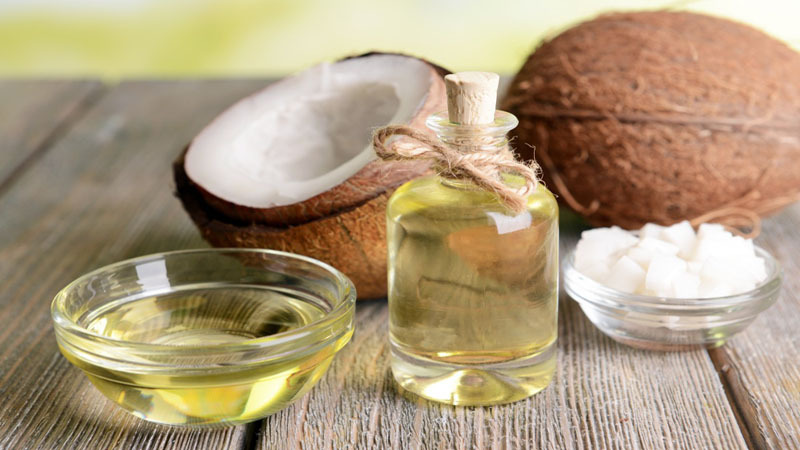 MCT Oil is mainly extracted from coconut oil. This is because more than 50% of coconut oil is made up of MCTs. 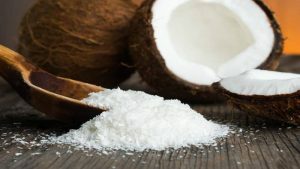 MCTs are also found in many other food sources but not at such a high percentage as coconut. There are 4 different types of MCTs. The types typically used in MCT Oil are capric acid and caprylic acid. Below are some fantastic science backed benefits of what the best MCT Oil - so you can see what all the fuss is about. MCT Oil is a super fuel as the body absorbs it quickly in comparison to long chain triglycerides. As they have less carbons in their fatty acid and as a result shorter chained than long chain triglycerides; they go straight from the gut to the liver. This means they do not have to be broken down first like long chain fats (1). This means they are an instant energy source and can be used as such when you really need it (2). Not only are they great for a physical boost, they are also great for a mental boost too. As your brain is made up mostly of fatty acids, supplying it with fuel from MCTs is will help your brain think more clearly and perform better. Summary: ​MCT Oil is easily absorbed by the body providing an instant source of energy when you need it. MCT Oil is beneficial to weight loss in many ways. Firstly it has been shown to promote feelings of fullness which is something many struggle with when losing weight. MCT Oil does this by increasing the release of leptin and peptide YY which are both hormones that stimulate feeling full (3). Taking MCT Oil may also be more effective at promoting feelings of fullness than straight coconut oil too. 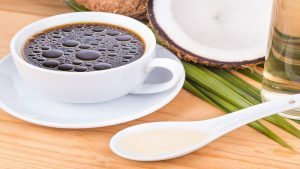 One study found that those taking 2 tablespoons of MCT oil a day as part of their breakfast, ate less food for lunch compared to those taking coconut oil (4). As mentioned before, MCT Oil is an instant energy source and as it can be abosrbed quickly, is not stored as fat (5). 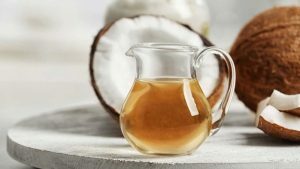 If you are following a ketogenic diet, MCT Oil can be converted into ketones which are produced from breaking down fat when there is liuttle carbohydrates available. This will keep you in ketosis - a fat burning state. A study in the Journal of Obesity and Research (2013) looked at energy expenditure, body fat storage, appetite control and other aspects of losing weight in overweight man (6). The overweight individuals in the first group were put on different diets for 28 days. One group had a coconut oil diet, high in MCTs, while the other group were put oon a diet high in LCTs (long chain trglycerides). The group that had the coconut oil rich diet lost more weight and had a larger increase in energy expenditure than the LCT rich group. Coconut oil also curbed their desire to eat, increased their metabolism and they lost more fat than the ment on the olive oil rich diet. MCT oil also has 10% less calories than LCTs too which probably helps (​7). Maybe you want to lose some bodyfat but aren't overweight? Well many studies have shown that MCTs can be used long term to help healthy adults lose significantly more subcutaneous body fat than those who took LCTs (8). When it comes to losing weight, how healthy your gut is can have a significant impact on your ability to lose weight. A poor gut environment can cause cravings and absorption problems that can lead to you eating more and putting on more weight. MCT oil has been shown to help improve and optimize the growth of good bacteria in your gut as well as being supportive for your gut lining (9). Summary: ​MCT Oil can help you lose weight by increasing energy expenditure, reducing body fat, increasing fullness,suppressing appetite and improving your gut health. MCT oil may have the potential to benefit those with diabetes which is a pretty great benefit. Generally speaking, those with Type 2 diabetes tend to be obese or overweight. Type 2 is considered to be more down to lifestyle choices. However, as MCT oil has been shown to reduce fat storage and helps increase fat burning (​10), it is a powerful too to help those suffering from Type 2 diabetes in reducing theri weight and thus having better management over their condition. However this same study also found that MCTs had no effect on reducsing fasting blood sugar levels. This suggests there are otehr factors that come into play that help MCT oil be effective. This could be the amount of food consumed or the timing of MCT oil consumption. This is definitely something to consider when using MCT oil yourself. Summary: MCT Oil may help manage Type 2 diabetes by helping patients lose body fat and burn more fast as well as help them control their bloody sugar levels. Although research on the effects of MCTS on athletic performance is limited, there is some evidence to suggest they may be helpful. One study done on mice, showed that those consuming MCTs outperformed mice who were consuming LCTs during swimming capacity tests (13). This may be down toe way MCTs are processed by the body and are able to give short term energy quickly. Rising lactate levels are an issue that can negatively impact your performance. One of the key components to training is to increase your lactate threshold in order to train harder and faster for longer. The study also found that taking it before exercise could help utilize and burn more tat rather than carbs. However studies are mixed as to whether it does (​15). This may be down to how the MCTs are taken and when. So if you wanted to experiment for better exercise performance - it may be worth experimenting how you take it - on an empty stomach or with food - to see if it helps you. However the fact that you may not need as much carbs while exercising may be beneficial to enduracne athletes who want to rely less on consuming food during their workouts or be able to better manage their energy levels over the duration with less food. Summary: ​MCTs may help with exercise performance but reducing lacxtate build up and reducing the need for carbs - however studies are limited. MCTs have anti-bacterial and anit-fungal properties.They help balance the bacteria in the gut and are capable of reducing bad bacterie without harming the good bacteria. Balancing the gut is half the battle when it comes to yeast infections. Coconut oil, which is over 50% made up of MCTs, has been shown to reduce the growth of Candida albicans by up to 25%. Candida albicans is a common yeast known to cause skin infections and thrush (16). MCTs have also been shown to suppress the growth of an infectious fungure in hospitals by up to 50% (​17). Summary: ​MCT oil has been shown to reeuce bacteria and yeast growth. They have antibacterial and antifungal effects that can help balance the gut and reduce infection. One of the most promising uses for MCT oil is the treatment of Alzheimer's and dementia. Alzheimer's has been shown to be similar in nature to diabetes, in that brain cells lose their ability to uptake glucose and as a result die off. Essentially, Alzheimer's impairs your brain's ability to use sugar. Ketones are an alternative fuel source for the brain which can help prevent cell die off. They also block a recptor in the brain that causes memory loss (​18). PET scans have even shown that areas of the brain affected by Alzheimer's take up ketones as an alternative fuel source to glucose (​19). Of course, this suggests that a ketogenic diet would be beneficial to Alzheimer's patients but there is the difficulty in changing eating habits. MCT oil gives an easier solution to providing benefits to patients in a more accessible way then overhauling their diets. Dr Mary Newport is known for her use of coconut oil and MCT oil when it comes to Alzheimer's. She gave her Husband MCT oil and coconut oil with some success, when he developed early onset Alzheimer's. Summary: ​MCT oil appears to be quite promising in its benefits to Alzheimer's disease, although larger and long term studies would be beneficial in pursuing this treatment further. Each child or adult with autism is unique and has various differing issues which can include sleep disturbance, gastrointestinal problems and learning related problems. MCT oil may help with some of these issues (​21). One study found positive improves overall in children who followed a keyogenic diet for 6 months (22). Another study involved 15 children who were on a ketogenic and gluten free diet. It found that adding MCTs to their diet substantially improved autistic behaviors for 6 out of the 15 children involved in the study (23). This suggests that for some children MCTs can be beneficial for improving symptoms and behaviors but is not for everyone. Summary: ​MCT Oil may benefit those with autism, although as each child/adult with autism is unique, it may not be beneficial for everyone. MCTS may help to protect the heart by lowering cholesterol. The study also found larger reductions in bad cholesterol when the MCT oil mixture was used compared to the olive oil one. A 2009 study looked at 40 women. They compared a calorie controlled diet with the addition of coconut oil and a calorie controlled diet with the addition of soybean oil. 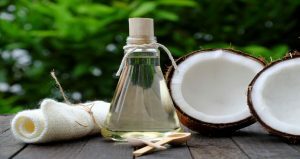 They found consumption of coconut oil improved good cholesterol as well as reduced bad cholesterol. Coconut oil is high in MCT oil, so it is likely but not certain, that MCTs were a part of the reason for the improvement in good cholesterol. To back this up, another studt found that MCT oil increased the production of good cholesterol or HFL (25). Summary: ​MCT oil can reduce bad cholesterol and increase good cholesterol which is a good protection factor against heart disease. Despite its many benefits, there are some potential drawbacks to MCT oil that should be considered. Although one of the benefits of takng MCT oil can be its potential to suppress hunger and help you feel fuller; it can actually do the opposite in some people. Some people may actually find that it increases appetite . Depending on your health and BMI, this could be a good thing for you - but not if you are trying to use it for weight loss. A study done on people with anorexia found that MCTs increased appetite by increasing the release of ghrelin and neuropeptide Y hormones (26). Those who took more than 6 grams a day of MCTs produced more of these hormones in comparison to those who only took 1 gram per day. Despite these, it isn't completelyt clear whether this results in people eating more. MCT oil is high calorie and high fat. If you introduce it into your diet you need to factor in the impact this has on your total fat intake. If you are already getting plenty of fat, it may be worth ocnsidering reducing fat in other areas to compensate the additional fat you are getting from MCT oil. This is particularly important if you are trying to lose weight. You don't want to be topping up your calorie count - so try to adjust accordingly. Summary: MCT oil may increase hunger hormones rather than suppress them in some individuals although its not clear if this increases appetite or not. MCT oil is high fat and high calorie so needs to factored in appropriately with the fats already in your diet. Taking MCT oil has many benefits to your mind and body, with very little risk factors. They are a great source of quick energy, can promote fat loss by reducing body fat and decreasing appetite and can also improve your gut health to cut out cravings. MCT oil can also help you boost your exercie performance, fight bacterial growth, protect your heart and help manage conditions such as Alzheimer's and autism. Yes there maybe a few drawbacks but these can easily be dealt with by making sure you do not consume too much. Stick to 1-2 tablespoons a day and make sure it replaces other fat in your diet rather than just adding it in (unless of course you diet could do with a boost in fat). MCT oil is a convenient way to get all the benefits MCTs have to offer and an easy way to incorporate more MCTs into your diet. If you now what to know how to implement it into your diet, check out our article how to use mct oil, for more guidance.